Why should companies build trust into their DNA as well as their daily business agenda? Trust Across America-Trust Around the World, via its FACTS® Framework has developed and refined a unique model that has been tracking the performance of the most trustworthy public companies since 2010. Every six months we update our results and share them publicly. The model continues to support the “bottom line” business case for trust. We began producing the chart above in August 2012. Since then, the most trustworthy companies have registered an 81.6% return vs. the S&P’s 46.3%. And still the daily headlines explode with countless stories about bad corporate behavior and the ongoing distrust of business. The word “trust” is rarely uttered by senior managers until they attempt to minimize the fallout from the latest corporate crisis. And what is usually the root cause of the crisis? Low trust, and the failure of senior leadership to place trust on its agenda. If it sounds like a vicious cycle it is, and certainly no way to reverse decades of declining trust in business. Combine the chart above with the following data and The Case for Trust becomes increasingly difficult to ignore. Gallup’s research (2011) places 71% percent of U.S. workers as either not engaged or actively disengaged. The disengaged workforce (Gallup, August, 2013) is costing the US economy $450-550 billion a year, which is over 15% of payroll costs. According to The Economist Intelligence Unit (2010), 84% of senior leaders say disengaged employees are considered one of the biggest threats facing their business. However, only 12% of them reported doing anything about this problem. According to Edelman globally, 50% of consumers trust businesses, but just 18% trust business leadership. The United States, the statistics are similar, but the story is a bit worse for leadership. While 50% of U.S. consumers trust businesses, just 15% trust business leadership. The trust gap not only impacts a company’s revenue, market share, brand reputation, employee engagement and turnover, stock price, and bottom line profitability, but every facet of society. Building a trustworthy business will improve a company’s long-term profitability and organizational sustainability. A growing body of evidence shows increasing correlation between trustworthiness and superior financial performance. Over the past decade, a series of qualitative and quantitative studies have built a strong case for senior business leaders to place building trust among stakeholders high on their priority list. While none of these studies are perfect, over the next decade their results will be increasingly difficult to ignore. The study demonstrates that companies which enjoy high levels of trust among their employees are two and a half times more likely than those that don’t to enjoy superior revenue growth. High-trust businesses significantly outperform all other organizations in achieving a wide variety of business goals, including customer loyalty and retention; competitive market position; values-driven behavior and actions; predictable business and financial results; and profit growth. and more from the Chartered Management Institute follow this link. As we look more closely at the morality of managers through the lens of MoralDNA, we see that being good and doing things right is mostly about our empathy, our reason and our values. It is much less about the achievement of narrow financial targets; or our robotic compliance with rules and regulations. And yet governments, businesses, public services and charities still persist in a focus on quantitative targets and bureaucratic red-tape that drive dysfunctional and unethical workplace cultures. This has to change. In a Harvard Business School working paper from July 2013 called The Impact of Corporate Sustainability on Organizational Processes and Performance, Robert G. Eccles, Ioannis Ioannou, and George Serafeim provide evidence that High Sustainability companies (those integrating both environmental and social issues) significantly outperform their counterparts over the long-term, both in terms of stock market as well as accounting performance. In addition to the chart above, numerous indirect indicators of trust also show a direct correlation to superior financial performance. 7% higher Return on Equity for values-based banks (7.1% ROE compared to 6.6% for big banks). These studies are bolstered by analyses from other respected sources including the American Association of Individual Investors, the Dutch University of Maastricht, Erasmus University, and Harvard Business Review. Business leaders may choose to continue to challenge the business case for trust but the evidence is mounting. There is not only a business case but also a financial case for trust. Trust works not only in business, but in all organizations regardless of their industry, size or location. Is it working for yours? Barbara Brooks Kimmel is the Executive Director of Trust Across America-Trust Around the World whose mission is to help organizations build trust. She is also the editor of the award winning TRUST INC. book series and the Executive Editor of TRUST! Magazine. In 2012 Barbara was named “One of 25 Women Changing the World” by Good Business International. 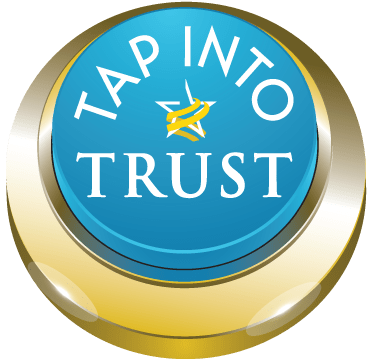 Nominations are now being accepted for Trust Across America-Trust Around the World’s 5th annual Global Top Thought Leaders in Trustworthy Business. Copyright © 2014, Next Decade, Inc.